Difficult to believe we are already on Block 8 for The Splendid Sampler! 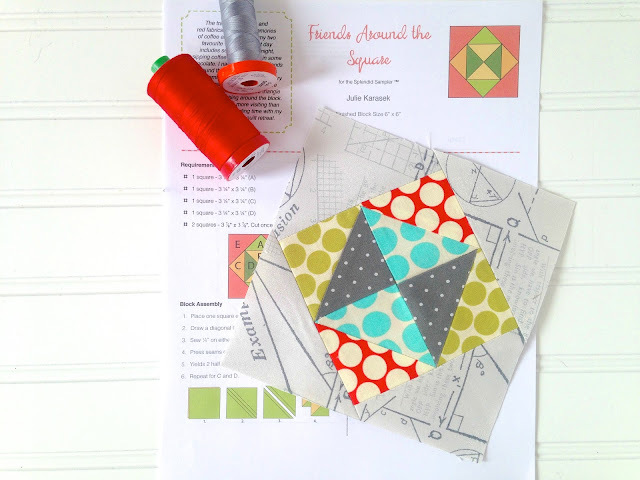 I decided to go dotty for this sweet Friends Around the Square block by Julie Karasek from Patched Works. This block is wicked easy and extra FAST! The Amy Butler and Zen Chic for Moda fabrics look perfect together! 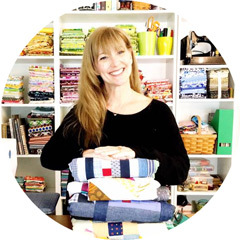 very nice, love a spot or two, cut my fabrics yesterday and will stitch today not so sure it will be wicked easy and extra fast for me though! I love this block. I'm already falling behind mine, but that's all good.It is fun laying catch up sometimes and seeing what everyone else has done.